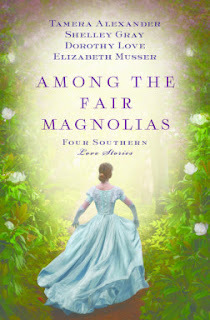 Among the Fair Magnolias is a collection of four love stories by four different authors set in the South in the decade following the Civil War. Even though the stories share a common time period, the authors' writing styles, the settings, and the characters are quite different in these four enjoyable stories. I was drawn to the novella collection when I saw that Tamera Alexander had written Savannah Derby's story. Savannah was an "old friend" from To Win Her Favor and had a story that needed to be told. In her typical style, Tamera (who appears to be a proper southern belle herself) told a beautiful tale of love and faith that was my favorite of the four. Shelley Gray is the other author that I was familiar with before reading this book. 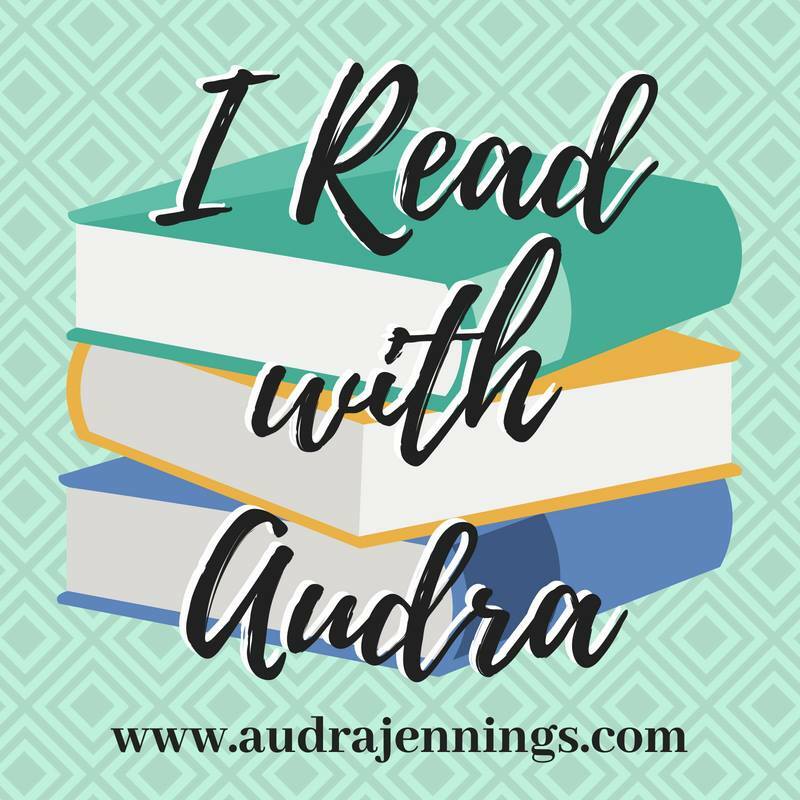 Russell's return home was a very fitting addition to her Heart of a Hero series, bringing some of the characters full circle to where their lives seemed to fall apart, while learning important lessons about their own feelings. Elizabeth Musser's story dealt with some of the most difficult and ugliest parts of this time period and did so with a great deal of class. Some of the twists and turns in this story certainly helped keep the interest level up. 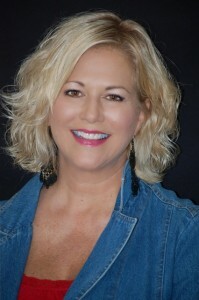 Dorothy Love wrote a story of well-to-do southerners forced to make difficult decisions with far-reaching consequences. This story did not draw me in as much as the others in the collection did. Fans of good historical fiction should enjoy Among the Fair Magnolias. I am not always a fan of short novellas, usually preferring the opportunity to see stories develop over the span of a longer book. But I found these stories to be well paced, even with the limitations of 80-90 pages each. See what other readers think about Among the Fair Magnolias here. box her father supposedly hid there during the war before her assignment is completed? And before she sees yet another battle lost on the home front. This time, one of the heart. When Russell Champion returns to Fort Worth, he’s determined to begin a new life. But when he arrives at his mother’s homestead, he discovers she’s very ill, and the woman he loved is still as beautiful and sweet as he remembered. With time running out, Russell must come to terms with both his future and his past. Here is a video where you can get a little background information and learn a few "fun facts" about the authors of these stories. 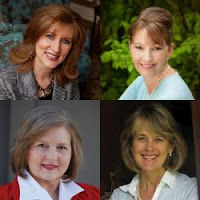 Find out more about Alexander, Gray, Love, Musser at http://www.thomasnelson.com/among-the-fair-magnolias. 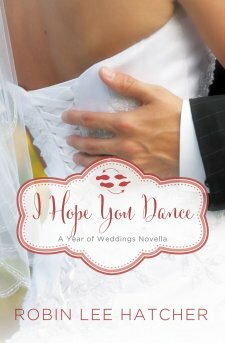 I Hope You Dance is a sweet, fairy-tale type story that is Robin Lee Hatcher's contribution to the Year of Weddings novella collection. Skye Foster, a dance instructor and lover of horses, spends a lot of time thinking about her dream wedding. All that's missing is the groom. Grant Nichols has had enough of his large family and isn't sure marriage -- and especially children -- are even in his future. He has moved to Kings Meadow for a fresh start after giving up his former less-than-ideal lifestyle. When the upcoming wedding of common friends in the small town of Kings Meadow brings the two together, well . . . romance just has to happen. This story is quite predictable; after all, it is in a collection of wedding novellas. But the quick read is a pleasant way to spend an hour or so. 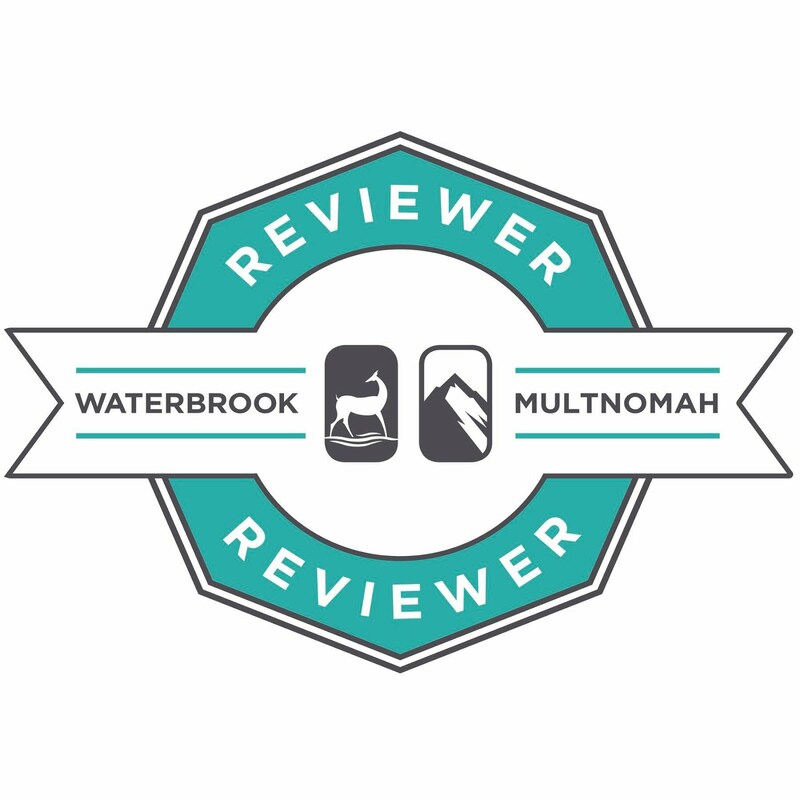 Fans of Robin Lee Hatcher's writing will find familiar faces from Kings Meadow, Idaho. Anyone interested in a delightful, quick-to-read romance should enjoy I Hope You Dance. As I understand it, this novella is currently available only in ebook form but should be published in a collection in hard copy form a little later. Thanks to BookLook Bloggers for providing a copy of this novella in exchange for my honest review. About a year and a half ago, I read Patricia Bradley's debut novel and was impressed with a fantastic romantic suspense story. 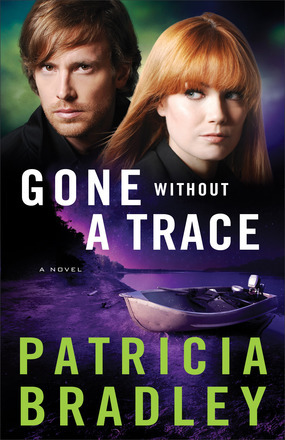 Gone Without a Trace continues that series in just as great a fashion! With plenty of action from beginning to end, lots of twists and turns and mystery -- seasoned with a significant dose of romance and faith -- this was a story I stayed up way too late to finish! The characters are very relatable, people easy to get involved with and care about. The tough decisions and life-threatening dilemmas that Livy, Alex, and the others face keep the pace moving fast. And the "bad guys" are hard to pinpoint until it's nearly over. A great read for fans of good romantic suspense. 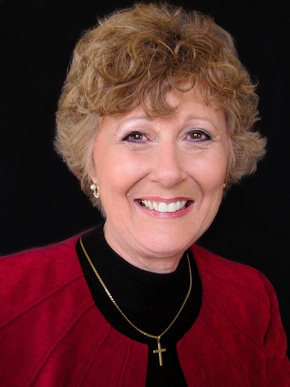 Patricia Bradley is the winner of a 2012 Daphne du Maurier Award and a 2012 Touched by Love Award and was also a finalist for the 2012 Genesis Award. The author of Shadows of the Past and A Promise to Protect, she is a member of American Christian Fiction Writers and Romance Writers of America. Bradley makes her home in Mississippi. Learn more at www.ptbradley.com. 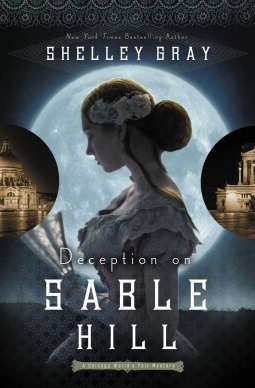 Shelley Gray's Deception on Sable Hill continues her Chicago World's Fair Mystery series in grand style. 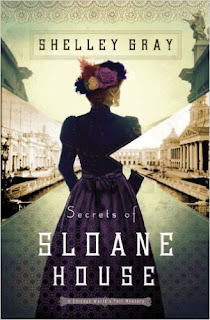 It picks up very shortly after the conclusion of Secrets of Sloane House (my review is here) with Eloisa Carstairs as one of the main characters. The extravagance of the Gilded Age is once again important in this story, set against the backdrop of the closing days of Chicago's World's Fair. Although there is evidence of some changes happening in society, Eloisa and Sean find themselves caught in the struggle of the times as well as right in the middle of a dangerous crime spree. Some of the characters from the first book play roles in this story, but Shelley also brings in several new ones as well. Watching Eloisa search for who she wants to become as she tries to overcome major hurts makes for a very intriguing story. A variety of other characters who find themselves at various points along society's changing class continuum keep the story and its mystery moving at a very enjoyable pace. I highly recommend both books in this series as great reads. I don't know whether there are more books to come in this series, but I would certainly enjoy reading them if there are. 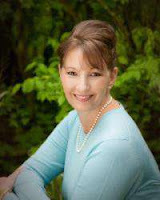 I have enjoyed several Amish books by Shelley Shepard Gray. But I think this series set in Chicago's high society in the Gilded Age (written under the name Shelley Gray) might be my favorites of her books so far. Secrets of Sloane House, book one in the Chicago World's Fair Mystery series, grabbed my attention from the first page and held it to the very end. Shelley's vivid descriptions transported me to a fascinating time in America's history, a time I had not read much about until fairly recently. The drastic distinctions between the "haves" and the "have-nots" come through sharply and set the tone for the mystery and romance that are so engaging throughout. There is a host of well-developed characters throughout the story -- some who are easy to love and others you love to hate. In the introductory pages of this book, it is described in the following terms: "Downton Abbey comes to Chicago . . ." I would imagine that fans of that series would definitely find themselves enjoying Shelley's story with its similar setting. I would recommend this book to anyone looking for well-written Christian historical fiction. Thanks to Shelley Gray and her publisher for providing a copy of Secrets of Sloane House some time ago. It was a pleasure to read and review this great book! It has been a while since Beth Wiseman has started a new Amish series, but she certainly hasn't lost her touch. 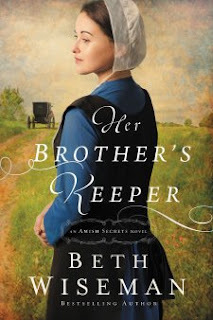 Her new Amish Secrets series is off to a great start with Her Brother's Keeper. This is a story with lots of layers and deals with some very difficult subjects -- like depression, mental illness and suicide. Although those dark topics play prominent roles in the main plot, they are handled sensitively and balanced out with family, friendship, faith, and a healthy sprinkling of humor. The characters that Beth so skillfully crafted definitely drive the story. Charlotte/Mary and Hannah are two young ladies from very different backgrounds who are bound by a tragedy that neither of them understands and both want answers for. Their relationship evolves through several stages throughout the story, as they each learn important lessons about themselves and about each other. I highly recommend Her Brother's Keeper for fans of great Amish fiction. For those who have not yet discovered the genre, this book -- with its mixture of Amish and Englisch worlds -- would be a great place to start. I look forward to seeing what other secrets Beth Wiseman has to share in the rest of this series. 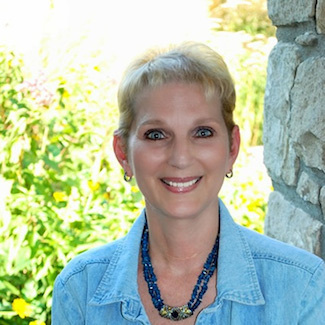 Award-winning, bestselling author Beth Wiseman is best known for her Amish novels, including the Daughters of the Promise series and the Land of Canaan series. She has also written several successful contemporary novels, set primarily in her beloved Texas, including Need You Now and The House that Love Built. Both have received glowing reviews. Beth's The Promise is inspired by a true story.